Firefighters love handy phrases almost as much as they love acronyms. Firefighters’ bosses love handy phrases almost as much as acronyms. The guy in the turnouts may not be so fond of those old maxims. They get repeated and then “improved” upon and then reinterpreted, until they don’t mean the same thing any more. But the phrases are still treated as gospel truth. Here today to discuss that problem is Clay Magee. 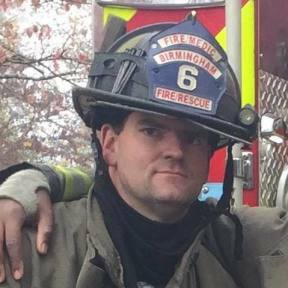 Clay is a Firefighter/Paramedic with Birmingham Alabama Fire and Rescue as well as Chelsea Fire and Rescue. A 13-year veteran firefighter, he’s an instructor with Magic City Truck Academy. How did bagpipes become the traditional instrument to be played at firefighter funerals? The tradition of bagpipes being played at a fire department funeral in the United States goes back over 170 years. When the Irish and Scottish immigrated to this country, they brought the bagpipe with them. It was played at Celtic Weddings, funerals and dances. It wasn’t until the Great Potato Famine of 1840 and massive Irish immigration to the East Coast of the United States that the tradition of the pipes really took hold in fire departments. Irish immigrants were unwelcome and the only jobs they could get were the ones no one else wanted. Dangerous, dirty jobs, like firefighters and police officers. There were far more line of duty deaths back then, and, of course, a high number of them were Irish immigrants. 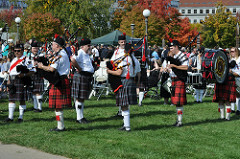 The haunting sound became synonymous with firefighter funerals that families of firefighters who were not Irish asked that the bagpipes also be played at their funerals. Nowadays, there are pipe and drum corps in fire departments around the country, waiting for the call they hope will never come.